Measuring in at just 6" axle-to-axle when cocked, the TenPoint® Stealth NXT puts success in your hands with a devastating 144 ft.-lbs. of kinetic energy and speeds up to 410 FPS. 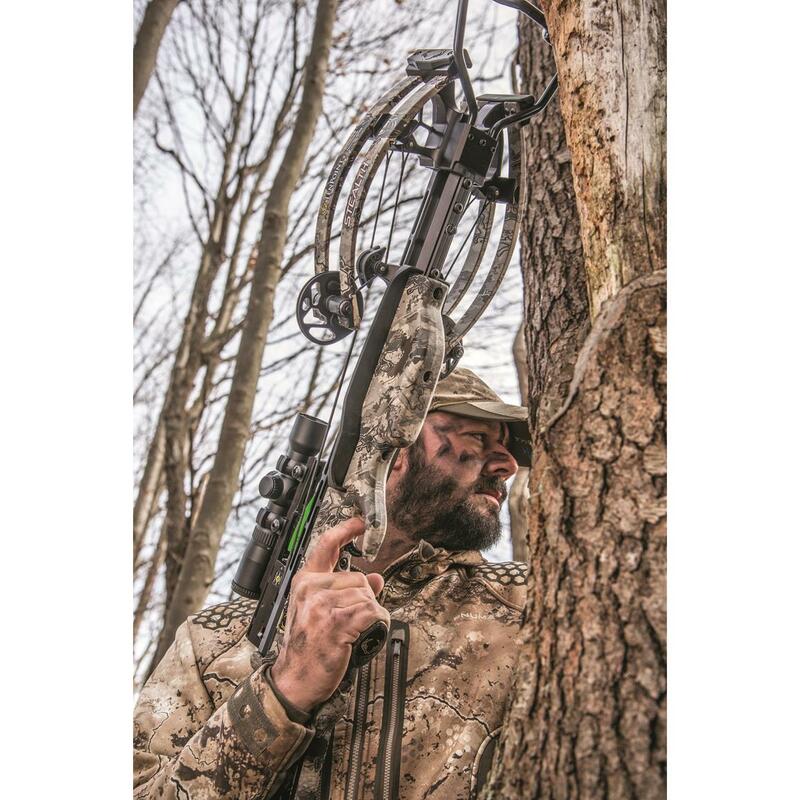 Plus, TenPoint's new Vector QuadTM technology helps eliminate cam lean, which ensures straight arrow flight and incredible match-grade accuracy. 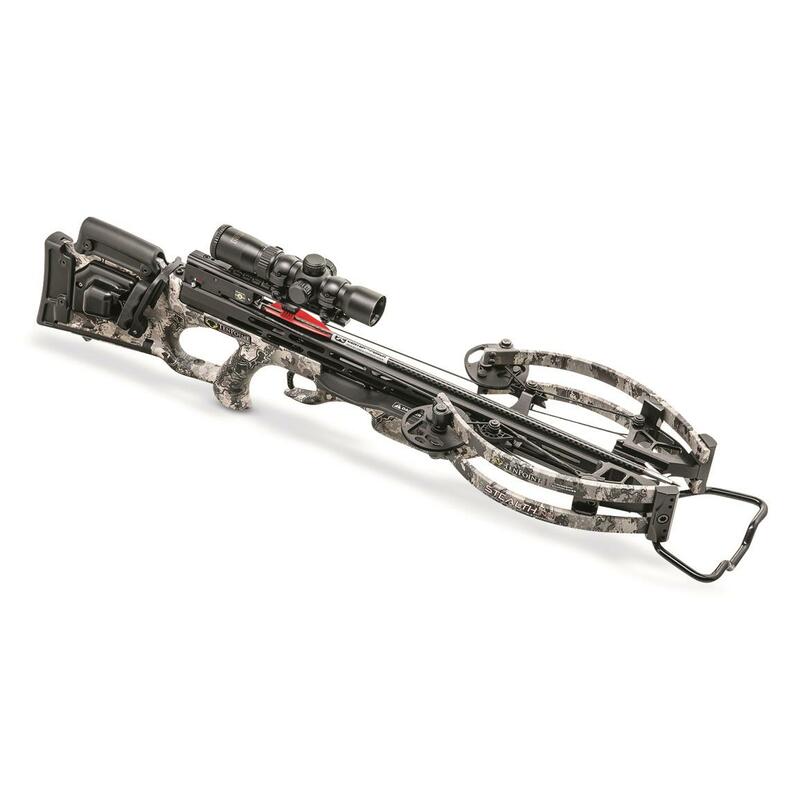 Equipped with TenPoint's Rangemaster Pro Scope, the Stealth NXT Crossbow will have you nailing bullseyes in no time. 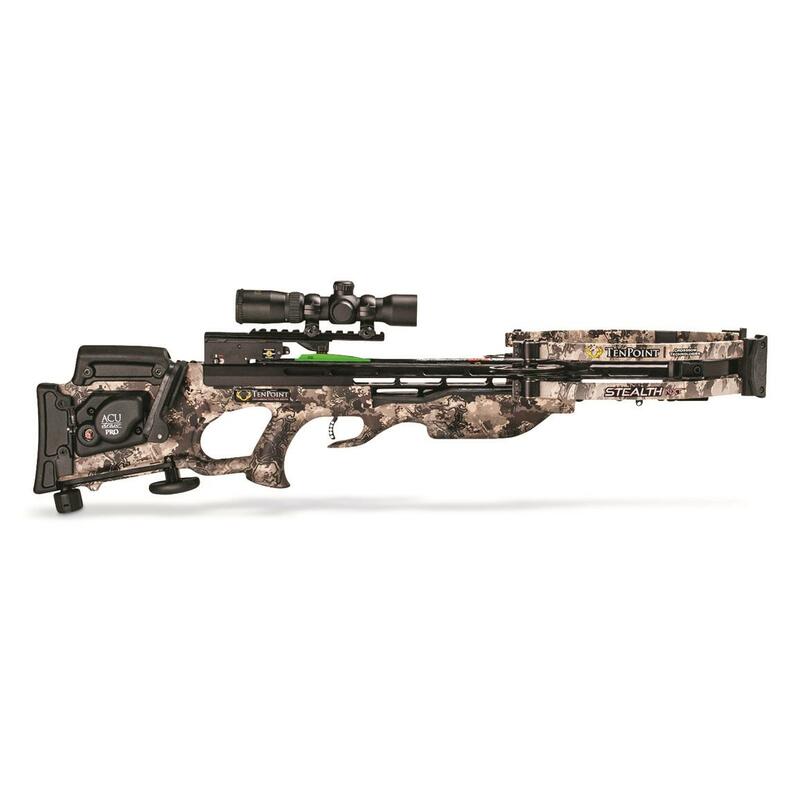 Lightweight aluminum Scope features variable speed and arrow drop-compensation settings for crossbows that shoot between 275 and 425 FPS, with no adjustments for distance. 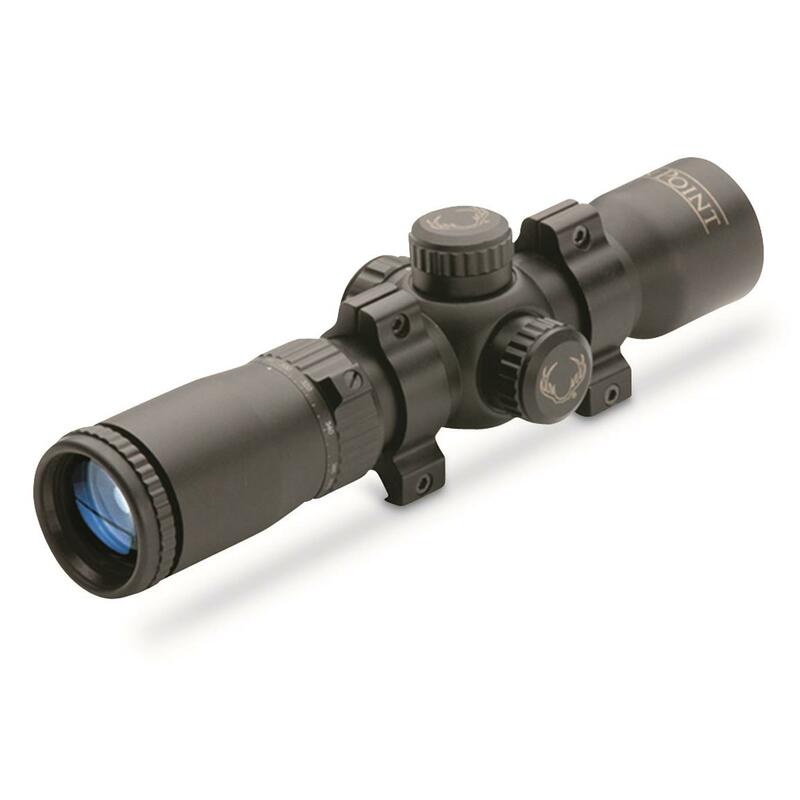 Fully multi-coated lenses allow excellent light transmission, plus you can bring the action in close with 1.5-5x magnification. 30mm tube. 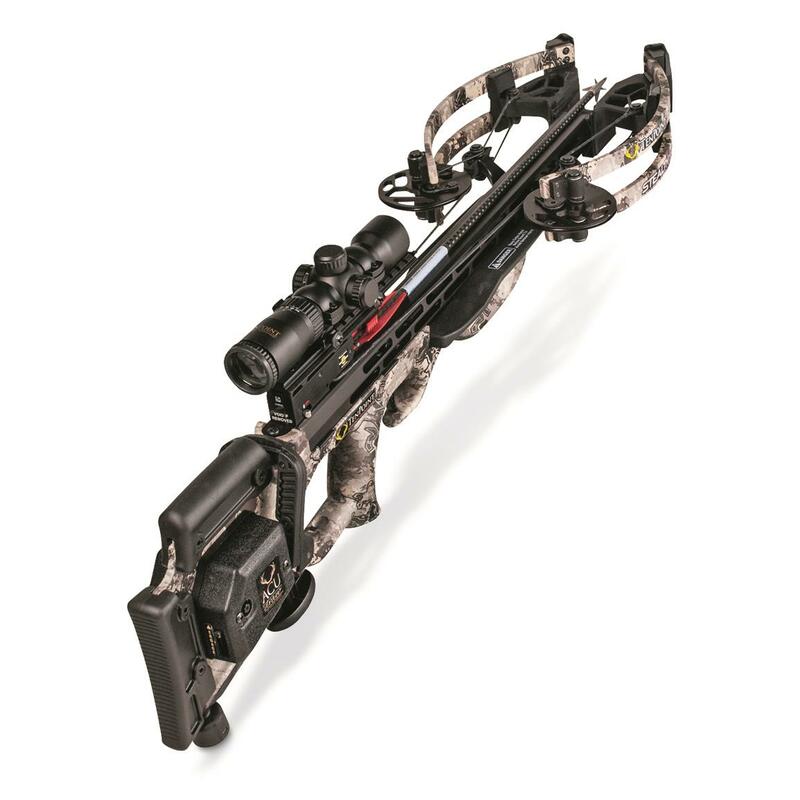 Ready for shooting fun right out of the box, the TenPoint Stealth NXT Crossbow comes equipped with an integrated sound dampening system and (3) EVO-X Centerpunch Premium carbon arrows. And like all TenPoint Crossbows, the Stealth NXT is made in Akron, Ohio and comes backed by TenPoint's limited lifetime warranty. 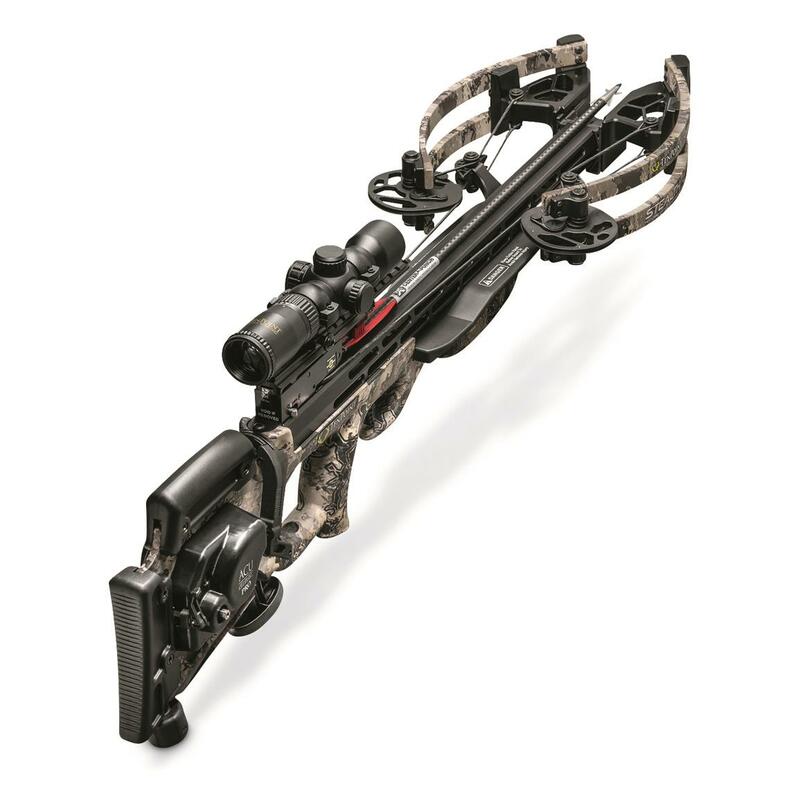 Axle to Axle (Cocked/Uncocked): 6" / 11.3"
TenPoint Stealth NXT Standard Crossbow Package is rated 4.9 out of 5 by 179. 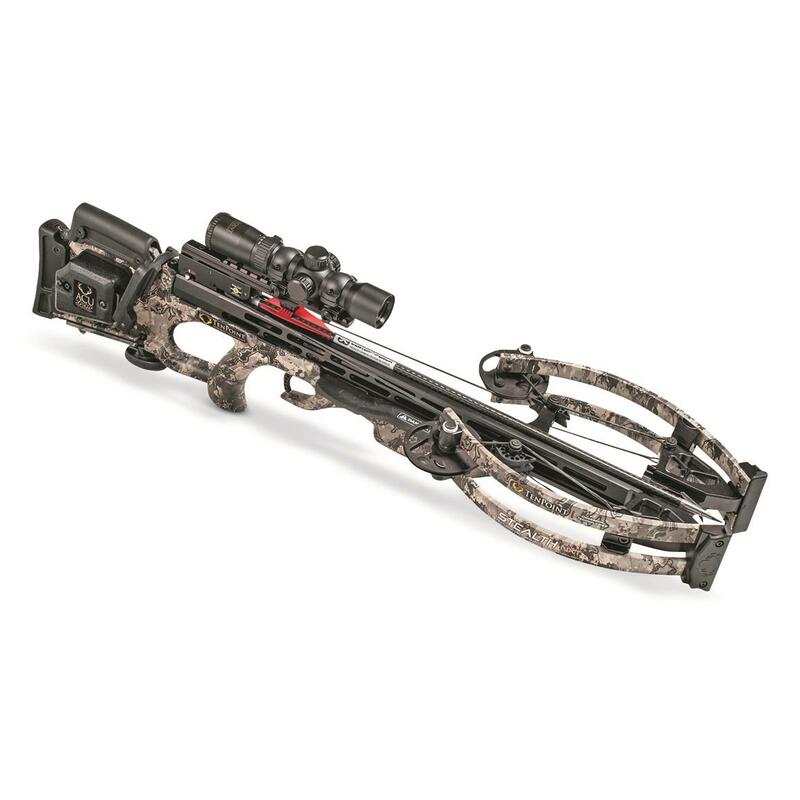 Rated 5 out of 5 by miyagi from Best crossbow available quality craftsmanship, super fast, quiet, pinpoint accuracy. great job! Rated 4 out of 5 by Kirk from Best crossbow I’ve ever owned Light and compact. 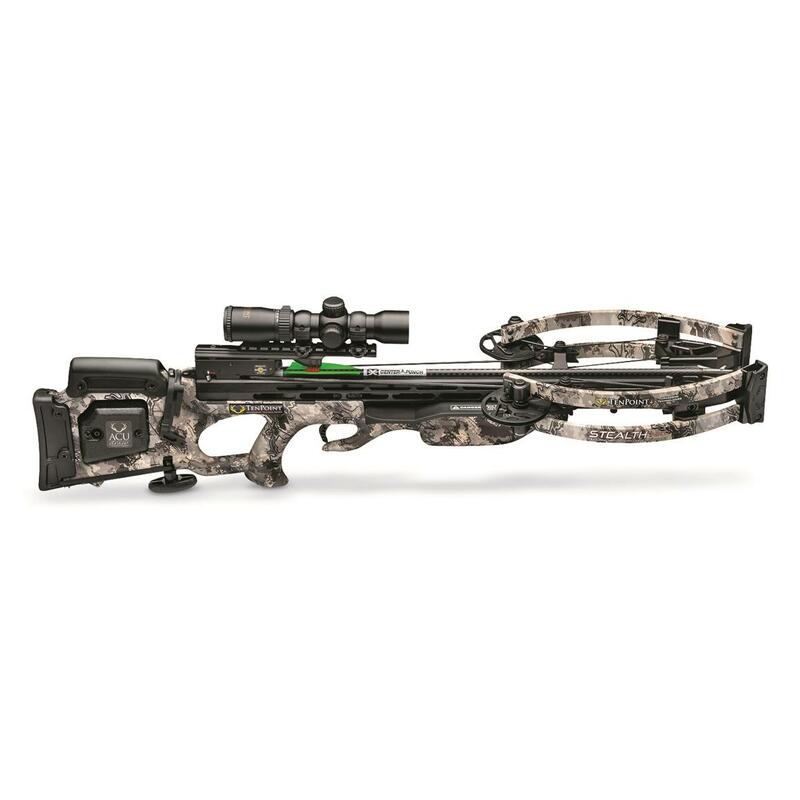 Tenpoint are the best crossbows around. I bought my stealth nxt accu draw pro last September. Only got to shoot it a dozen times and only hunted one day last year because of the new addition to the family but I love I would Have given it 5 stars but I ha e two issues. One is now they have Alpha nocks and recommend those and now Injabe to buy those when they should send those to the customers that bought the stealth when it came out last year. My second and more worrisome issue is with my accu draw pro. I love that it is quiet but only shooting it a dozen times and not a year old yet the string is starting to show wear. Not sure if I can get this replaced or not but I dont think this should be happening. Rated 5 out of 5 by Ronboy from Outstanding Crossbow! Great shooting weapon. Easy to use, very accurate. Love it! Rated 5 out of 5 by KoolKatKameron from The most Awesome Awesomest Crossbow you could own By far the best crossbow I've ever used. 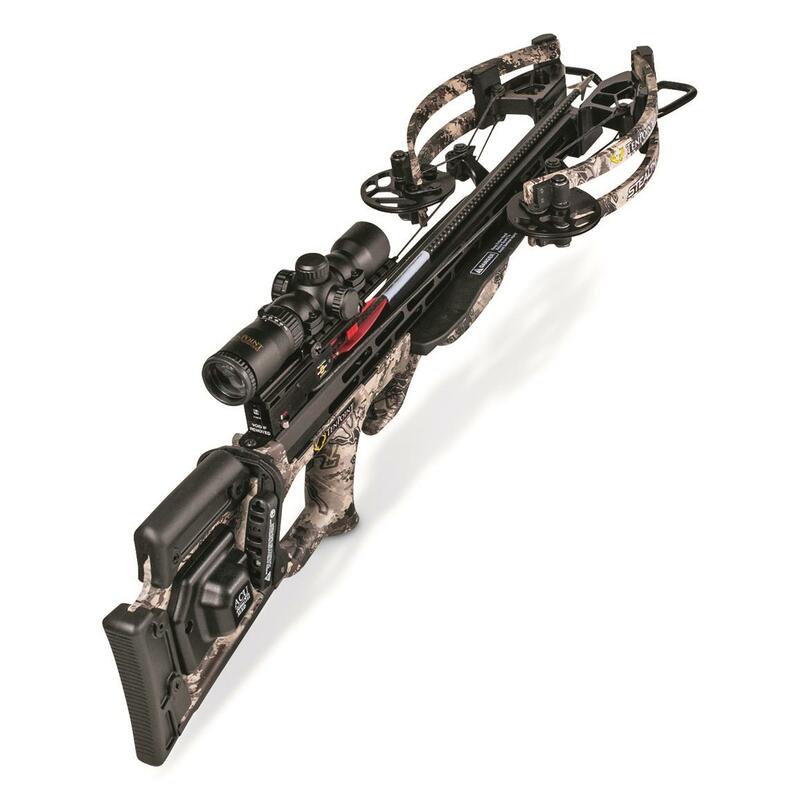 This crossbow is extremely accurate, light weight, easy to carry and use while hunting. I would highly recommend it to anyone.